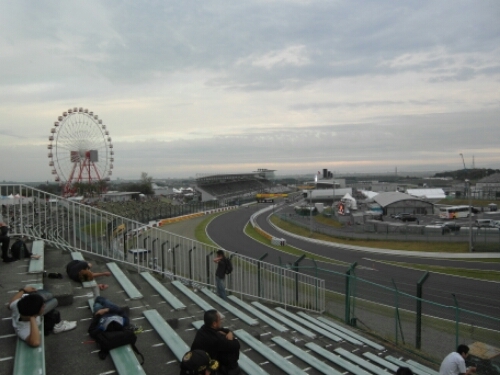 We were on our way to Japan Grand Prix, the race in Japan on the Formula 1 circus. 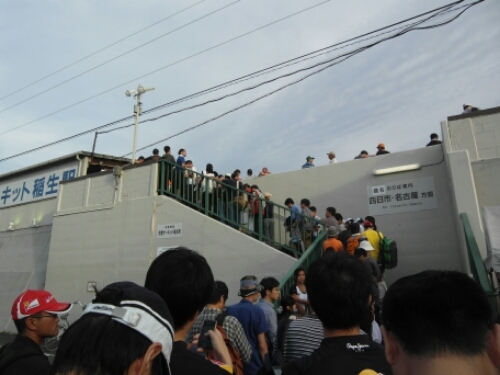 It was held on Suzuka Circuit, just outside Nagoya. Our hotel was in Nagoya, we would take a train to Suzuka. Usually when travelling I always take the role as map reader and guide. I am quite good at both reading maps and navigating in an unknown place, the job just comes naturally to me. 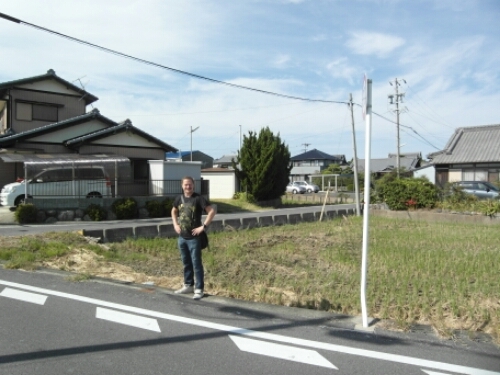 As my friend was the big Formula 1 fan, I was just following for the chance to visit Japan, I let him be in charge of navigating this time. It is safe to say I soon regretted my decision. We got on a train in Nagoya, heading for Suzuka Station. I had no reason to worry so far. My friend kept following our position on his smart phone, I only had an old Nokia at the time. It did not even work in Japan. The train took about 45 minutes. We got off at the station, could hear the cars in the distance. We could not be far away. My friend had his map ready, we started walking. And we walked. And we walked. And then we walked some more. My friend kept saying we were halfway there. But still we kept walking. And walking. 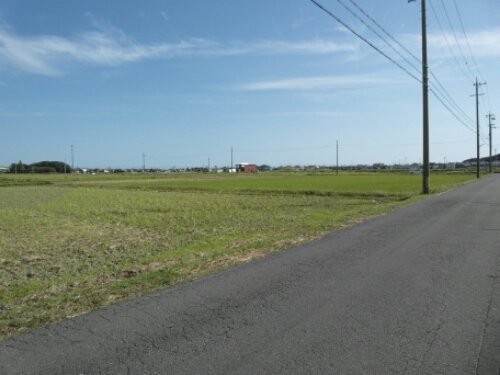 At first it was only rice fields around us. We walked along the single road going through the fields. A few houses scattered around. 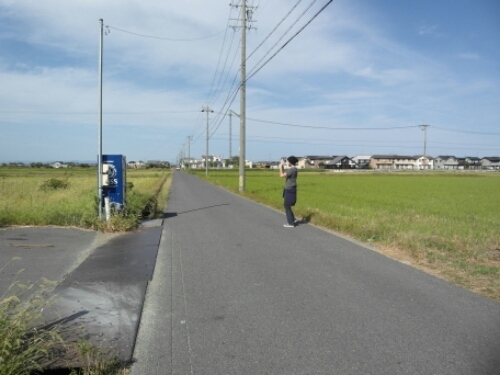 A vending machine along the road. Every now and then a car drove by. Then more rice fields. For an hour we walked through the rice fields. Finally more and more houses appeared. My mood was getting worse fast. We found a car dealership where we asked for directions. They did not speak English, but somehow managed to show my friend where to go on the map. We’re almost there, my friend said. And we walked on. And on. And we walked some more. Always halfway there. No more rice fields. Now we walked through suburbia. And always the sound of the cars in the distance. Taunting us. I kept walking either a short distance ahead or behind my friend. Could not be bothered talking to him. I was tired. And bored of walking. And I was getting hungry. Now my friend told me he was almost out of battery on his phone. We would lose our map, now we only had the sound to go by. Grumpy as I was at the time I did not bother to reply, kept walking, thinking it wasn’t a big loss anyway. The map always said we were halfway there. This was only the day of practice runs, qualification started tomorrow. We were on our way to pick up our tickets, but were in danger of not making it. The ticket office was closing soon, the whole day could have been in vain. But at least we would not miss any of the racing. 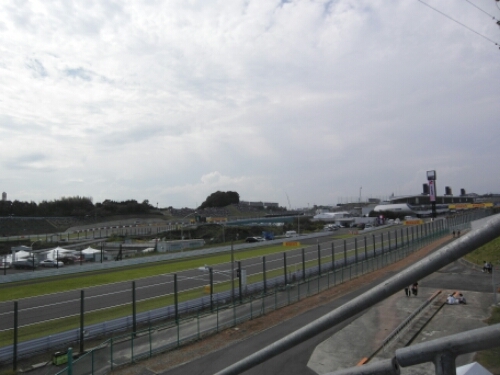 For three hours we walked, finally we arrived at Suzuka Circuit, the Formula One track. And what was the first thing we saw when we arrived? A train station serving a different line. Turned out we had been on the wrong train. The ticket office was closed, practice was over. All we could do now was to get on a train back to Nagoya. The next day I made sure we got on the right train. I did not feel like walking that far again. What I remember is that you never thanked me for the tan, and you never looked so damn good before!